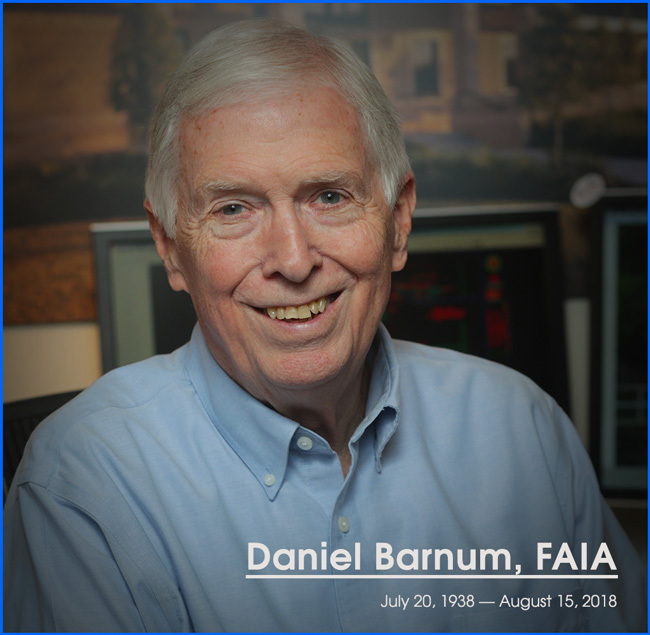 As of August 15, 2018, Daniel Barnum, FAIA, a member of the Board of Directors who served our organization faithfully for six years, is no longer with us. Dan’s beloved wife, Marilyn, informed us last week that he passed on peacefully after a brief struggle with aggressive cancer and a six-week hospital stay. We are so deeply saddened by this news. An architect of high-rise buildings and other structures throughout his career, Dan was one of our most devoted AE911Truth board members. He was a quiet but powerful presence at board meetings — a voice of reason and conscience who seemed to always guide us to a right solution through the many difficult issues we faced and decisions we had to make. He is absolutely irreplaceable, and we will miss him greatly. Before the dust had settled in Lower Manhattan, Dan discerned from watching the destruction of the Twin Towers that the official version of what happened on 9/11 was false. He had become well-practiced in detecting lies when he served in U.S. Naval Intelligence in Vietnam. There, he knew as soon as the alleged Gulf of Tonkin incident was reported that the war was based on a fabrication. As a man of integrity, Dan wasn't content to keep the facts about 9/11 to himself. After he joined AE911Truth and delved further into the irrefutable evidence for the controlled demolition of the three World Trade Center towers, he became a persistent advocate for that evidence among his fellow building professionals in his Houston community, throughout the State of Texas, and at the national level. With a mix of earnest, unwavering insistence on truth and gentle compassion for those who weren't ready to hear it, Dan made it his mission to educate any and every architect who would listen to his message. He both sought out and accepted speaking opportunities on AE911Truth's behalf at state and national architecture conventions. And even though he was rebuffed by those who were afraid to upset their worldview, Dan never gave up looking for receptive minds and hearts. We each spent quality time alone with Dan on separate occasions and found him to be every bit as mild-mannered, soft-spoken, empathetic, and genuinely kind in person as he was during our long-distance teleconference calls for board meetings. During our visits with him, we saw that Dan was always willing and available to connect deeply with everyone he met. He truly cared about the future of this world and strove to make it a better place — right up until his passing. We sorely miss Dan at AE911Truth and we suspect his absence will be felt throughout the 9/11 Truth community. We hope Dan's passion for truth, justice, and peace will continue to be a guiding light for our work here and lead us to success in our mission. 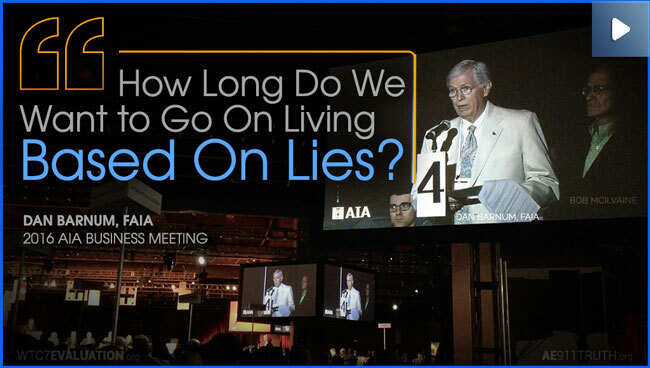 To our tens of thousands of AE911Truth supporters, Dan was most visible and notable for leading our campaigns to have the American Institute of Architects endorse a new investigation into the destruction of WTC 7. Dan’s closing remarks at the 2016 national convention in Philadelphia — delivered alongside Bob McIlvaine, who lost his son on 9/11 — best sum up what this remarkable man stood for. A celebration of Dan’s life will be held on Friday, September 14, at 11:00 AM at Trinity Episcopal Church in midtown Houston.